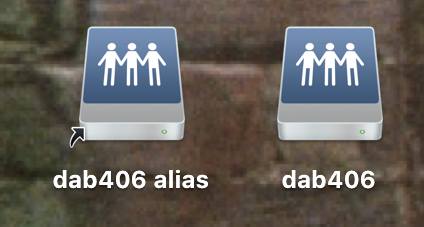 To make accessing your Network Storage Spaces (Personal or Departmental) as easy as it can be on a Mac, a desktop alias (shortcut) is very handy. Follow the instructions below to create one. 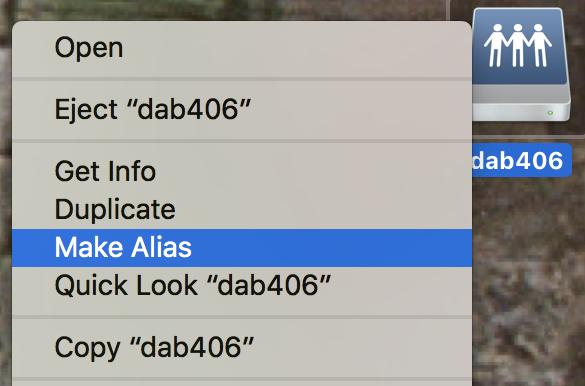 Set your Finder preferences to show desktop icons for connected servers. First, click on the desktop, to switch to the Finder. Second, select Preferences from the Finder menu. 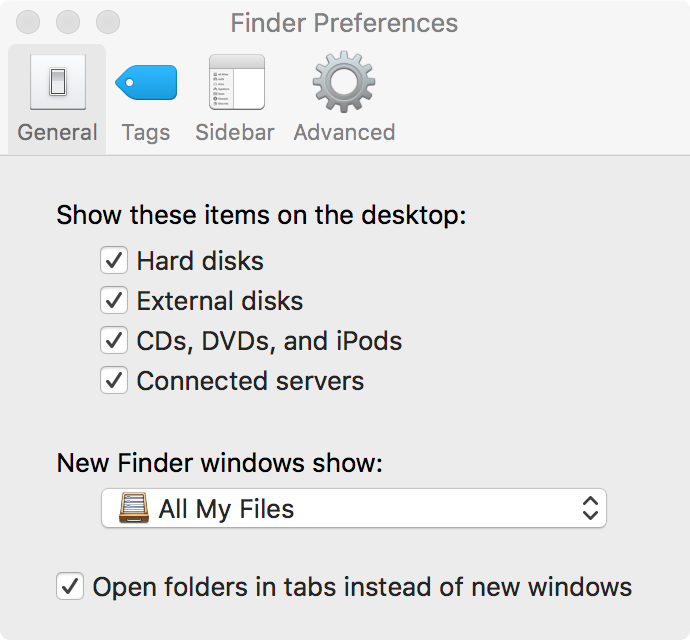 In the Finder Preferences window, click on the General tab, and make sure there is a check in the box labelled Connected Servers. Close the window. Follow the instructions in Access your Personal Network Storage Space (H-drive) in macOS, or Access your Department Network Storage (I-Drive) on macOS to connect a network storage space. Note the small arrow indicating the alias. Move it anywhere on your desktop. To access your Personal Network Storage Space again, connect to the Lehigh network first, and then, double-click your alias. If desired, you may now follow the instructions to Auto-mount Network Drives (Mac).